Pastor Gabe is starting a summer Bible study through the book of First John. It'll be hosted at the Hughes home starting June 1, and will meet every Monday evening at 6:00. Just bring your Bibles, or some snacks if you like! Once we get a count of how many plan to attend, we'll start adding a meal to the evening. Because of the Memorial Day weekend, our offices will not be open on Monday. We will be back in the office again on Tuesday. This morning, we debuted a new video from the ministry When We Understand the Text. The Bible speaks very favorably of our soldiers, and they deserve our honor and respect. Let us remember the great sacrifices that have been made so that we might enjoy the freedoms we have, and know that freedom isn't free. 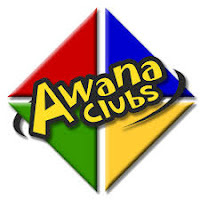 Our AWANA season comes to a close this Wednesday evening with our red carpet night! The students will receive their final awards, and some will graduate from one class into another. Parents, you are welcome to come be a part of the fun! The ceremonies start at 6:00. In addition to wrapping up the AWANA year, we'll also have our last fellowship. Enjoy a spaghetti dinner with all the fixings, starting at 5:00. Cost is $2 per child, $4 per adult, or $8 for the whole family! Our adult Bible study will meet at 6:15 to finish up the book of Numbers. Welcome Pastor Gabe back to the pulpit this morning for the first time since Easter! The sermon is entitled "Being a Gospel People" from Romans 15:1-7. This is a preliminary sermon before we get into a study of the book of Romans, starting next week. For this series, not only will you be able to download the audio (the player is in the column on the right), but we are offering complete transcripts of every sermon the same Sunday they are preached. Click on "Sermons" in the toolbar above. Past sermons may become available at a later time. Come on out to the church parking lot and check out our yard sale! Featuring multiple venders selling a variety of items. Some of the proceeds will go to benefit our Mothers of Pre-Schoolers ministry which meets at our church every other Thursday during the school year. The sale starts at 7am and will conclude sometime after noon. Please park on the west side of the building.